Las Vegas is being taken over by the worlds biggest boy band. The Backstreet Boys are definitely back, and back in action at their AXIS Theatre residency. 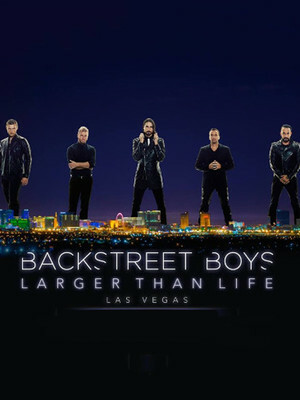 Backstreet Boys: Larger Than Life sees the boys re-unite to wow old and new fans alike! With over 130 million albums sold world-wide the Backstreet Boys are definitely the biggest selling boy band of all time. For the last 22 years the Backstreet Boys, or, BSB having been releasing the biggest and best pop songs making them a huge success. With smash hits like Everybody (Backstreets Back) and I Want It That Way it's no wonder that BSB have become one of the most influential boy bands ever. With their exclusive residency at the AXIS Theatre at Planet Hollywood Resort & Casino the Backstreet Boys are all set to be with us for the next 22 years! Sound good to you? 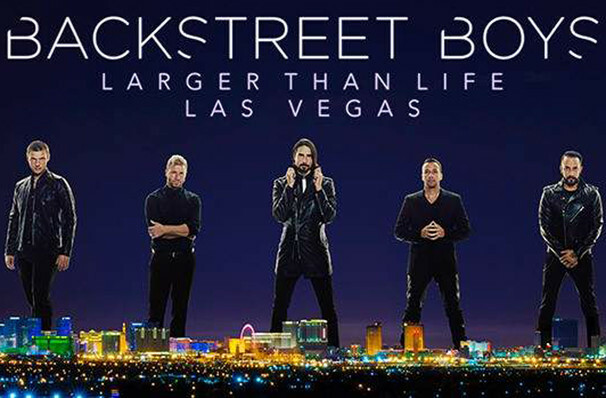 Share this page on social media and let your friends know about Backstreet Boys at Zappos Theater at Planet Hollywood.